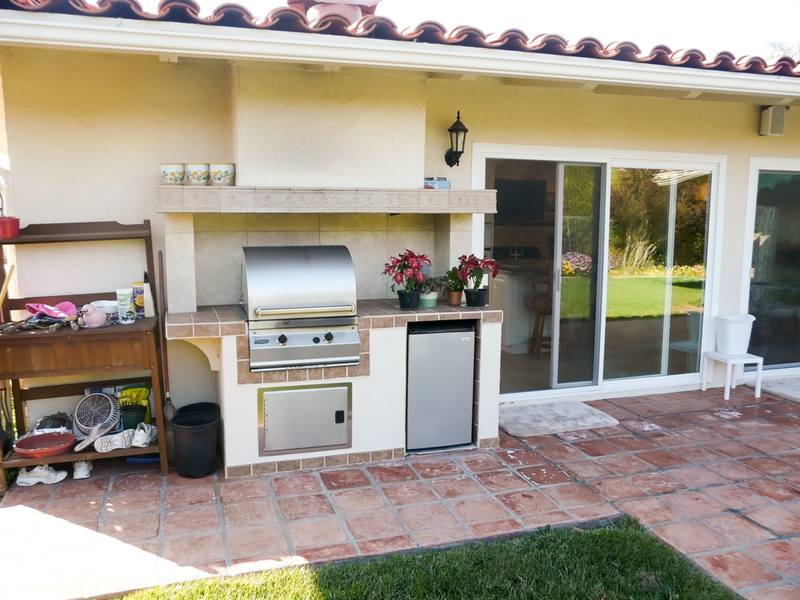 Outdoor Kitchen Added New Custom Hood and Tile Splash and Columns to Keep Exterior Wall and Roof over Hang Clean. 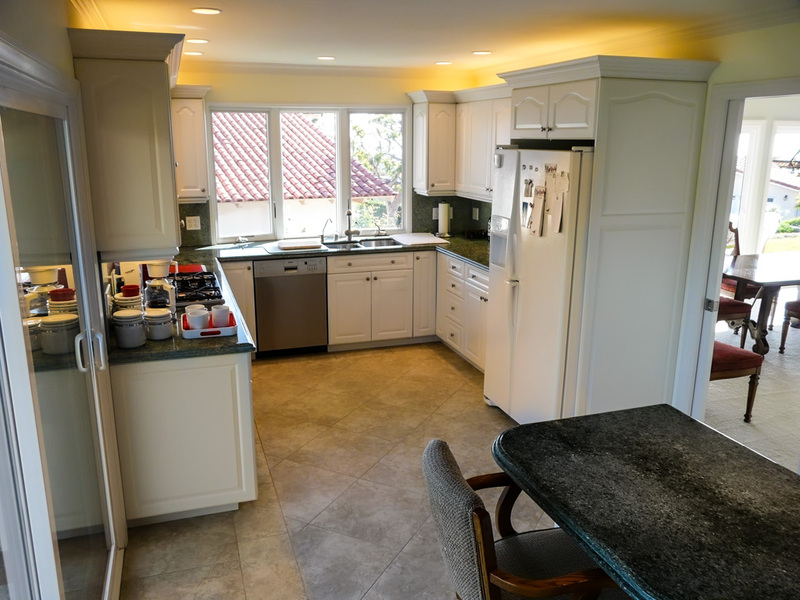 The Original Exterior Kitchenette Was Installed with No Consideration of this and the Walls and Eave Were Always Filthy and Hard to Clean. 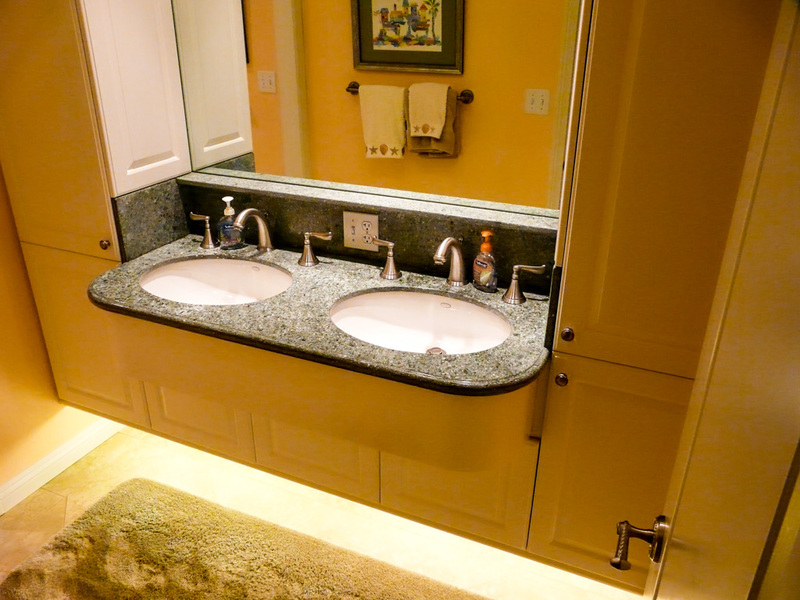 Cabinet Lighting: Florescent Undercabinet and Overcabinet lights. 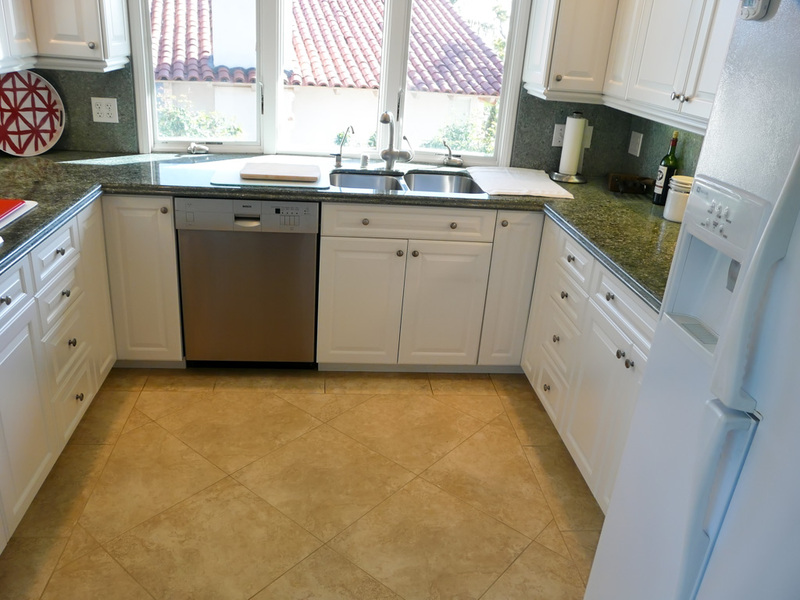 Faucet: Modern Single Lever Faucet with a Separate Faucet for Filtered Water at Left. 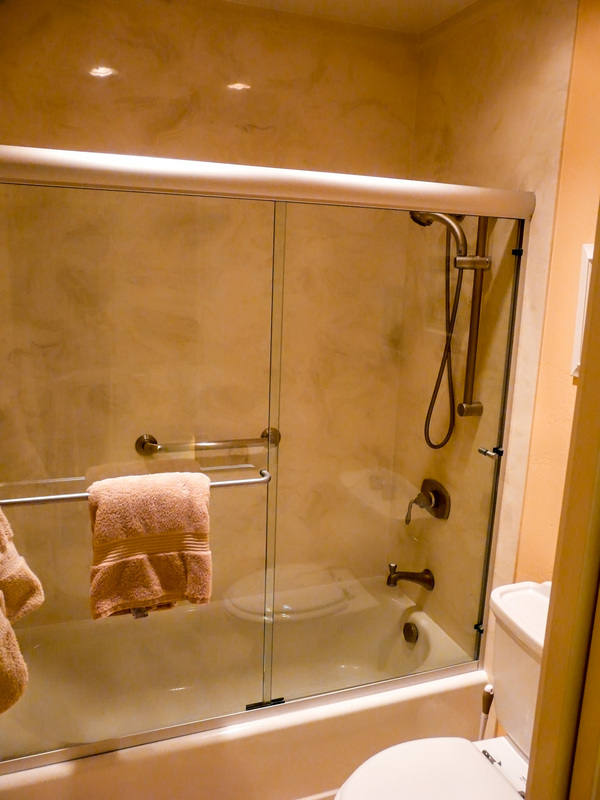 Filter: Sterilight SQ-PA Ultraviolet Water Sterilizer. 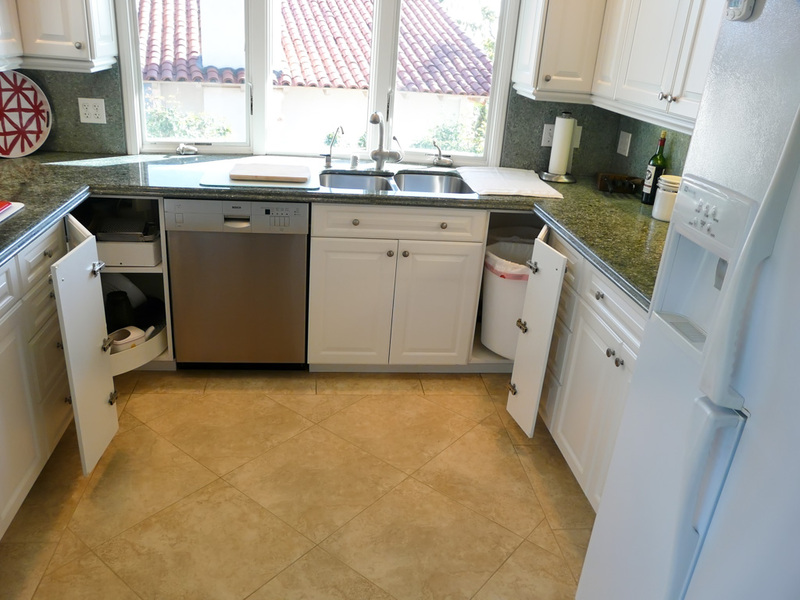 Under Sink Cabinet and Also Feeds the Water to the Refrigerator Water and Ice Maker. 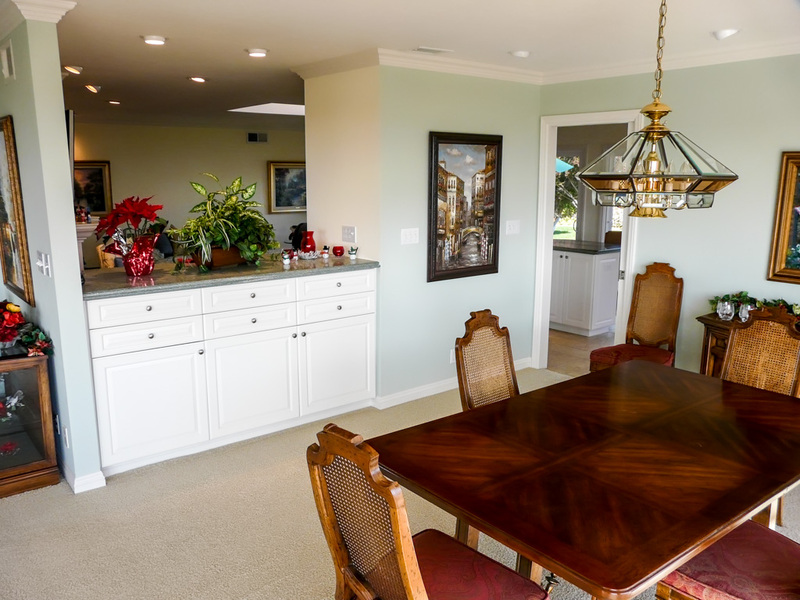 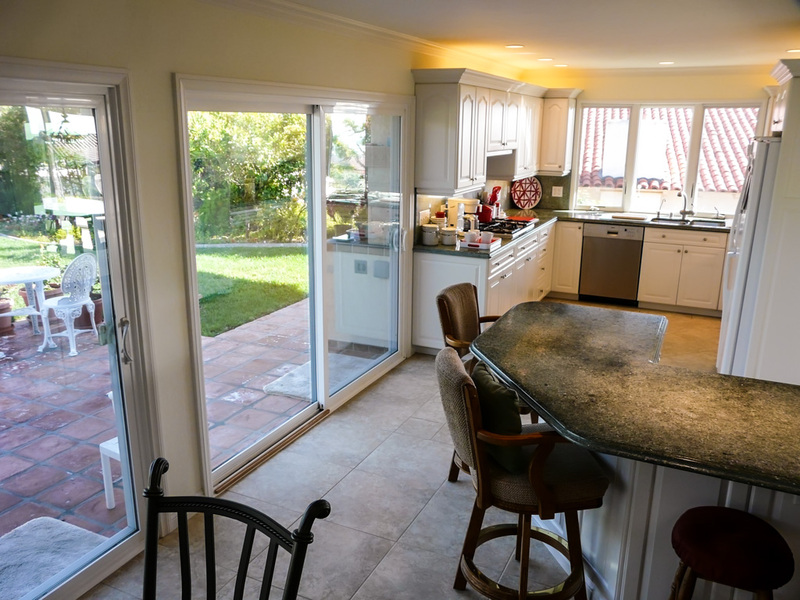 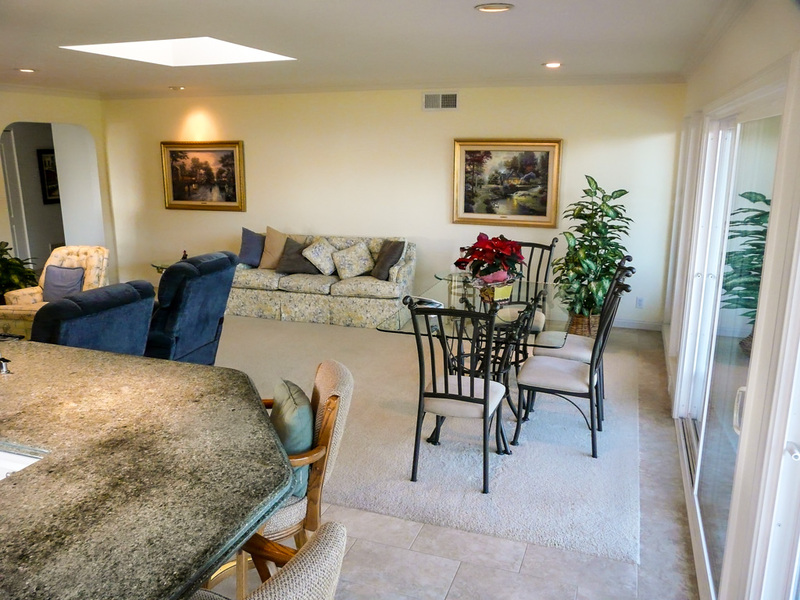 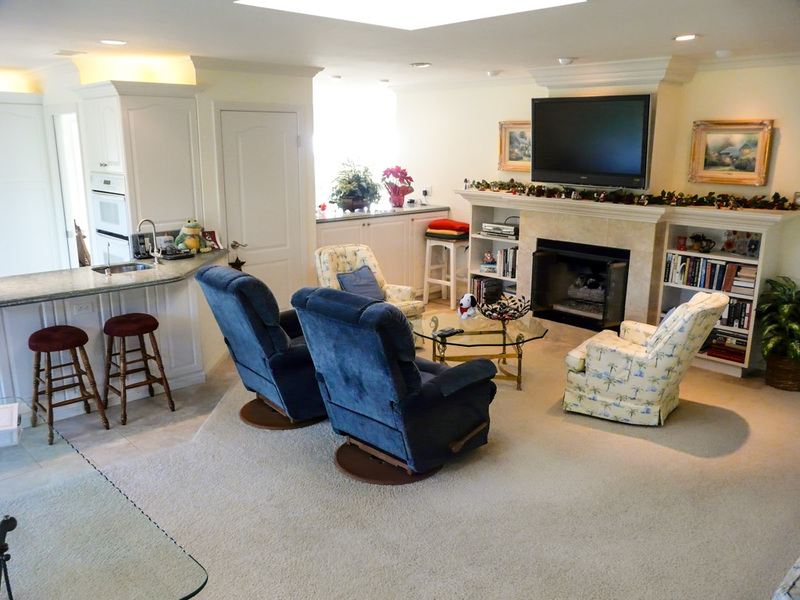 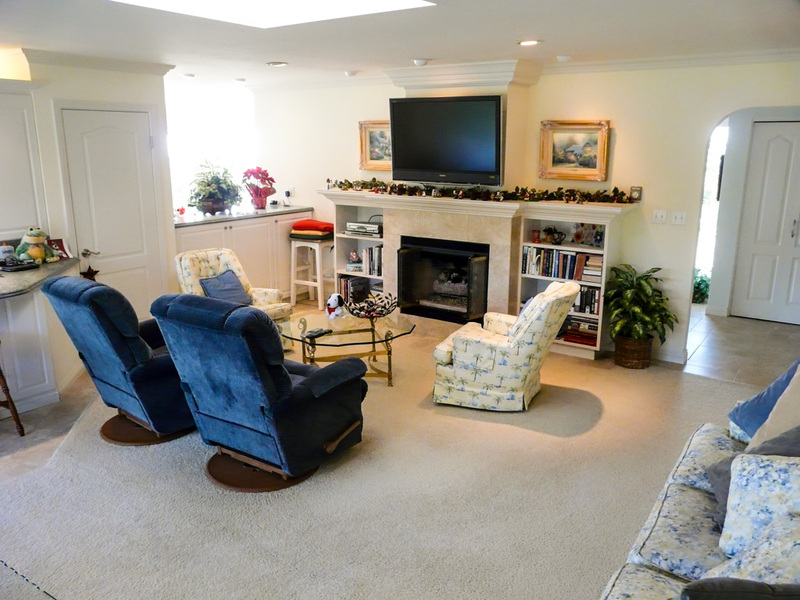 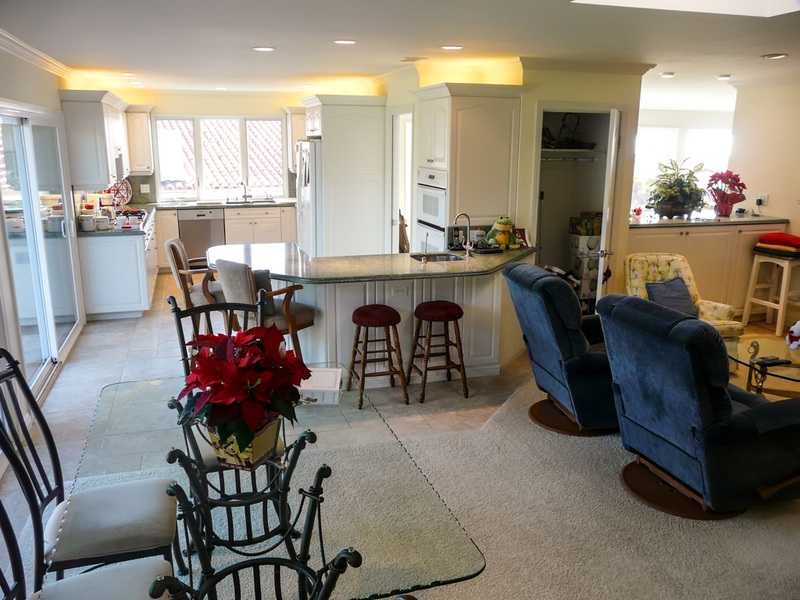 This was a major home interior remodel in which we had to remove two adjoining bearing walls to open up the large great room area just off the kitchen. 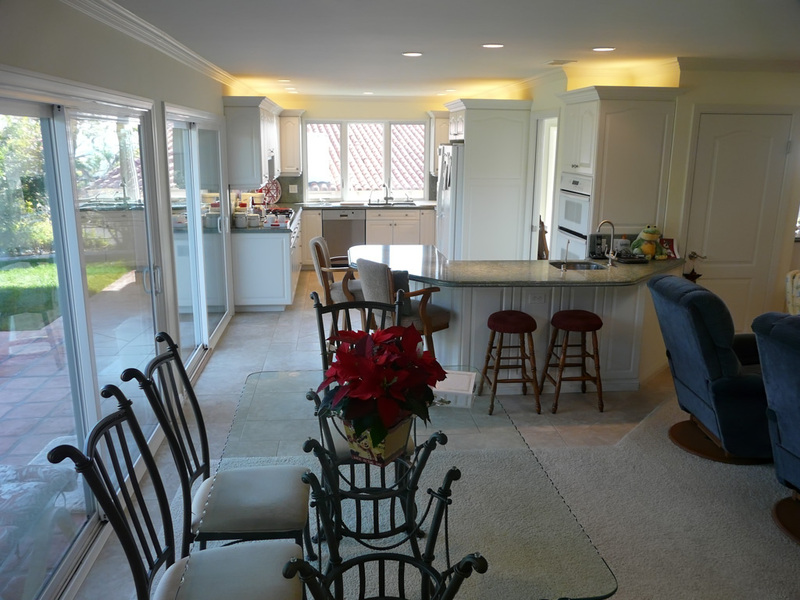 This home is now ready for lots of entertaining that this client does. 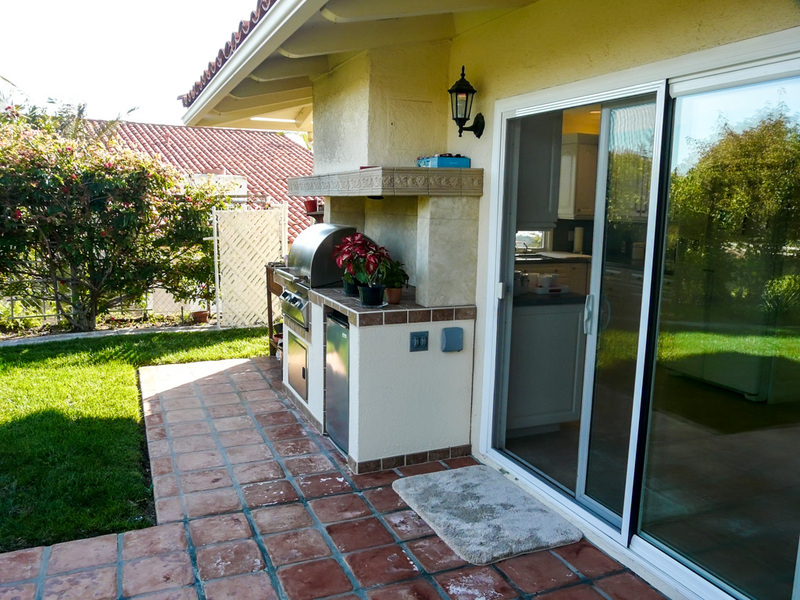 The backyard and patio are now an accessible part of this area after adding the large sliding glass doors you see in the photos. 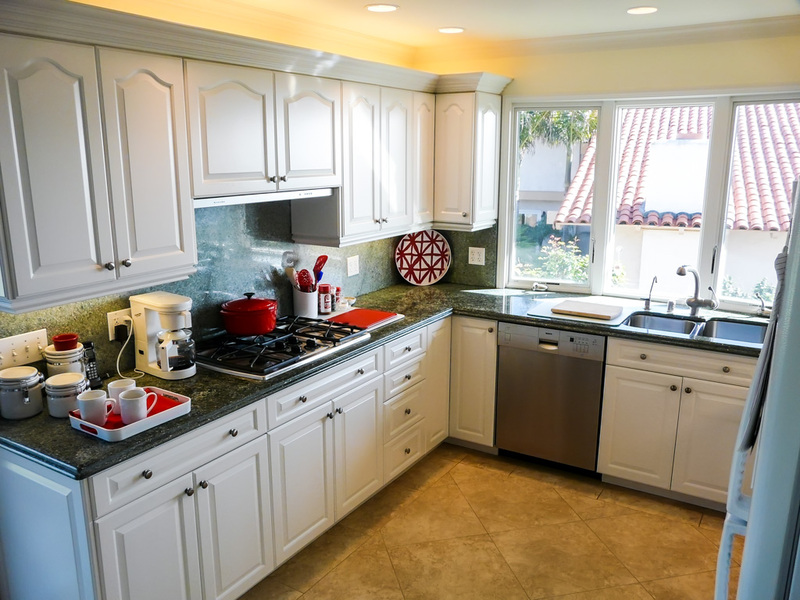 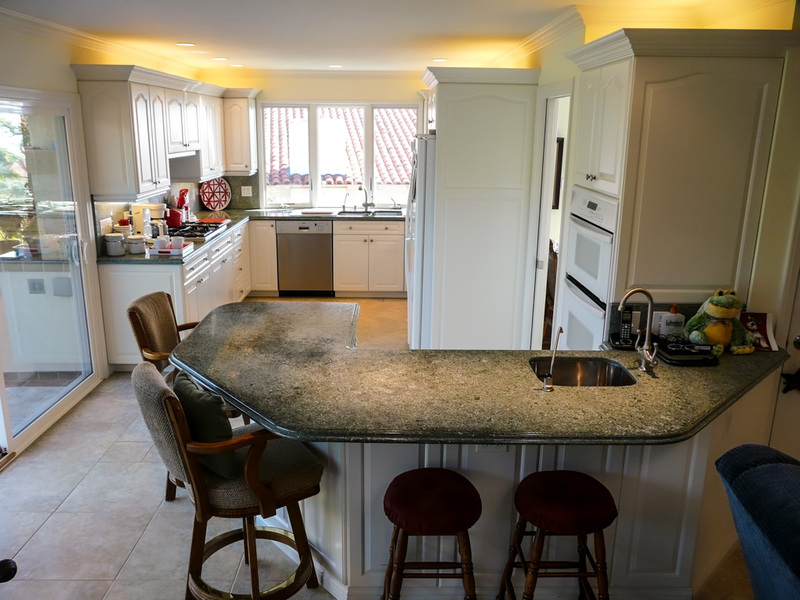 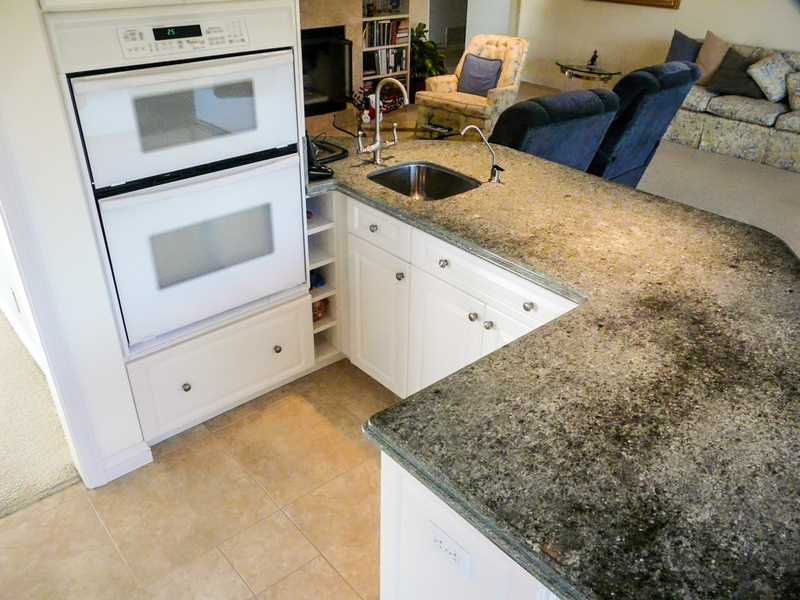 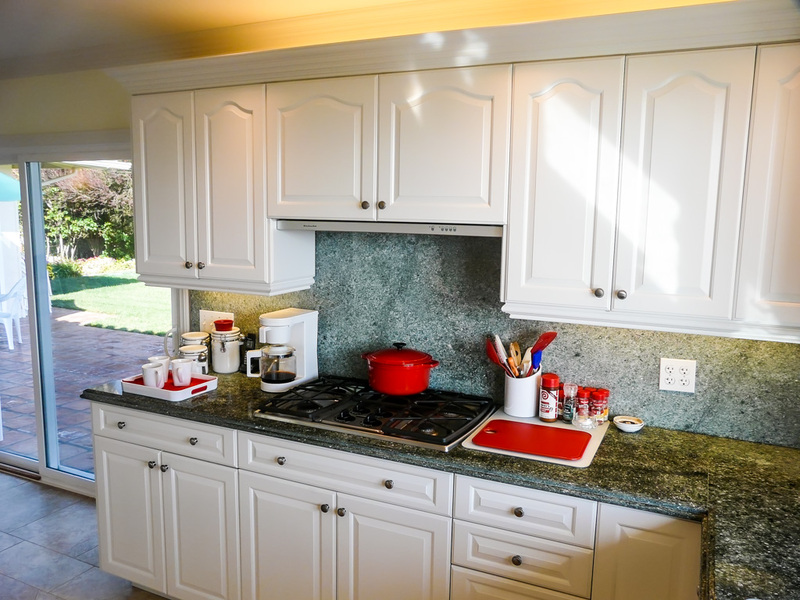 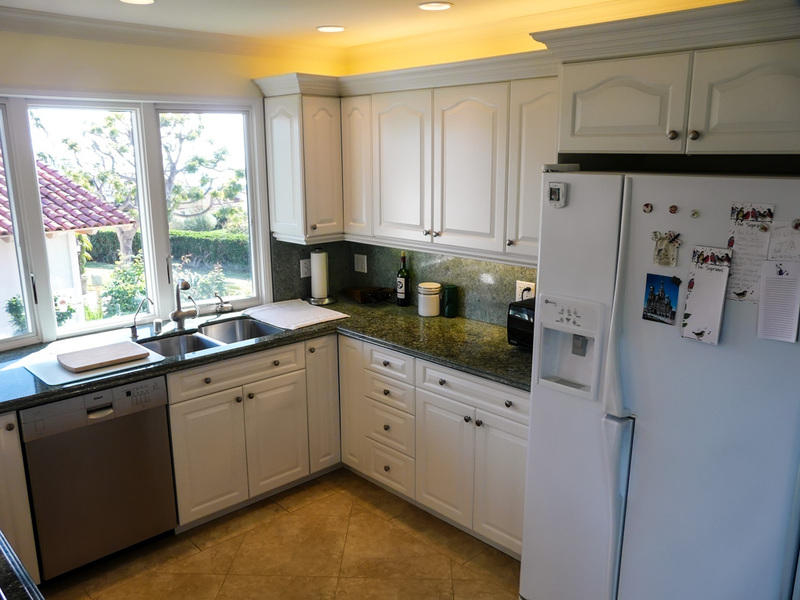 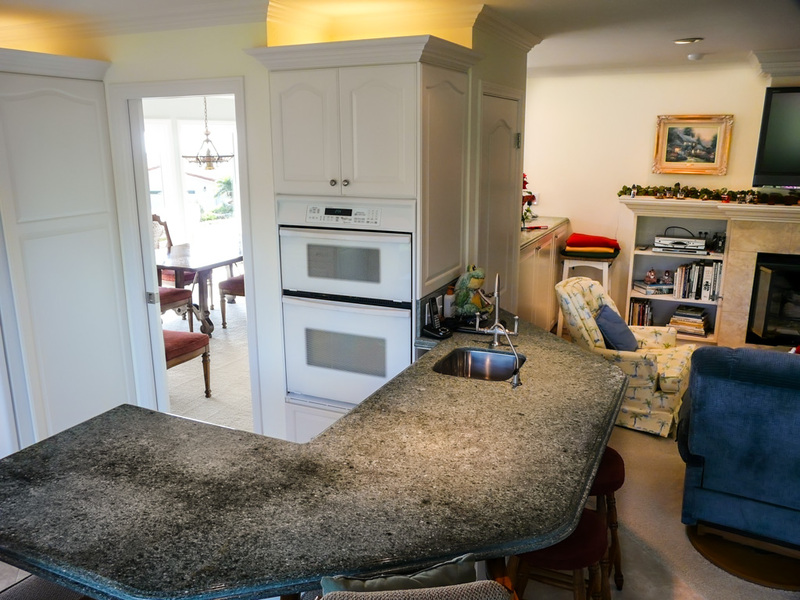 The kitchen is fully equipped with all the features to open up dead corners and get the most out of the cabinets and countertops. 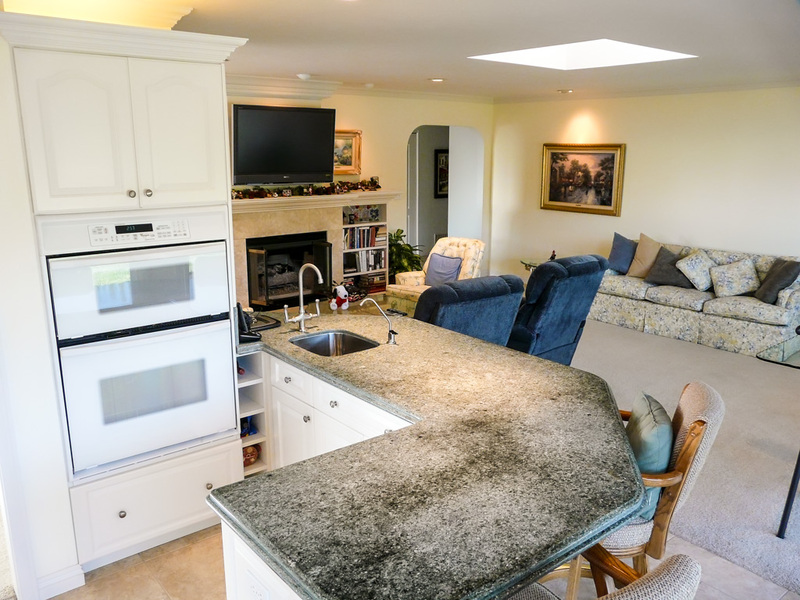 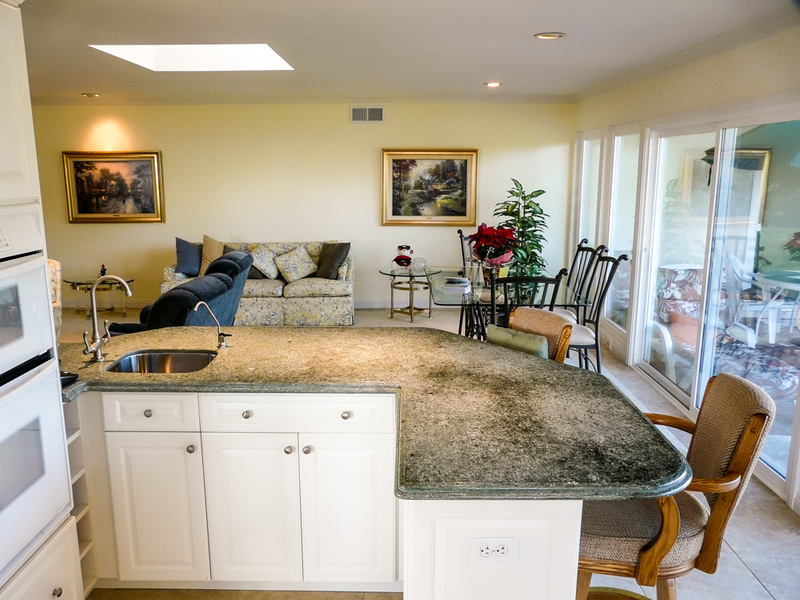 We put in a double-duty baking area and wet bar between the kitchen and great room, and also opened the wall between the great room and dining room, keeping the counters and storage below to offer a clear line of sight between the two rooms as well as the view to the ocean beyond the dining room window and southwest-facing dining room walls. 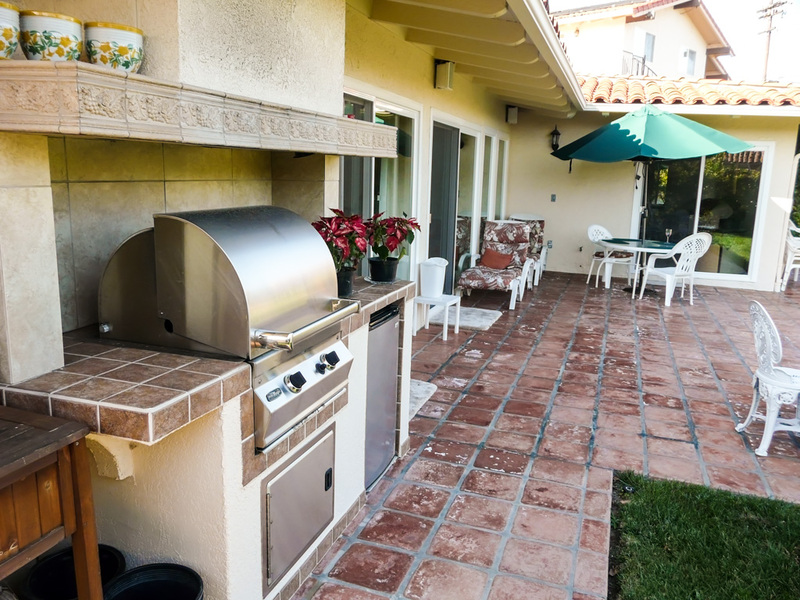 The outdoor kitchen was there when we started, but the client had a major issue with it: the wall behind it and the eave above it was always filthy with soot and grease from the BBQ. 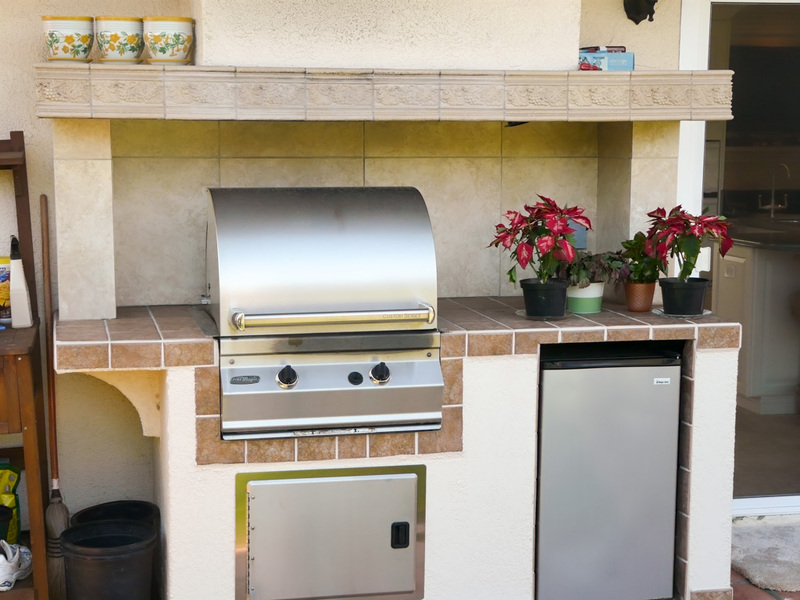 We built the custom hood and faced the wall with tile behind the BBQ and below the hood to create a better looking and cleaner area. 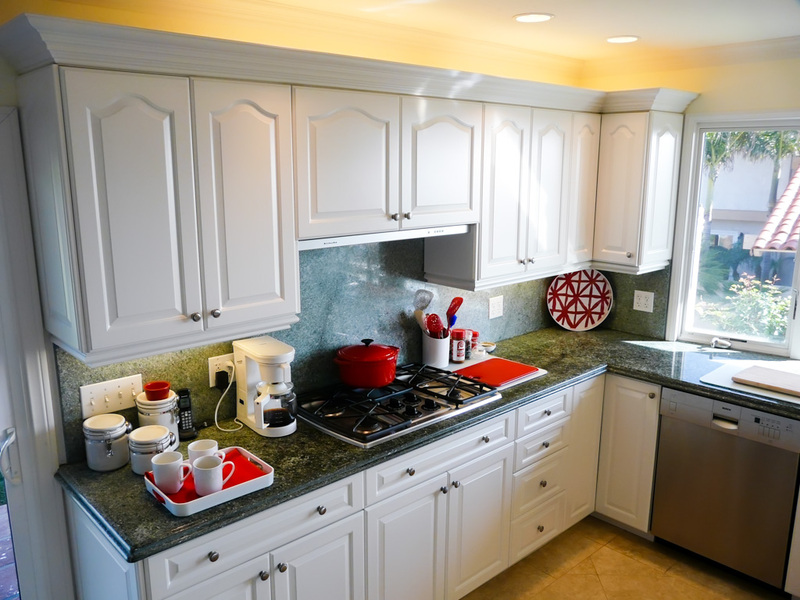 Function does affect beauty! 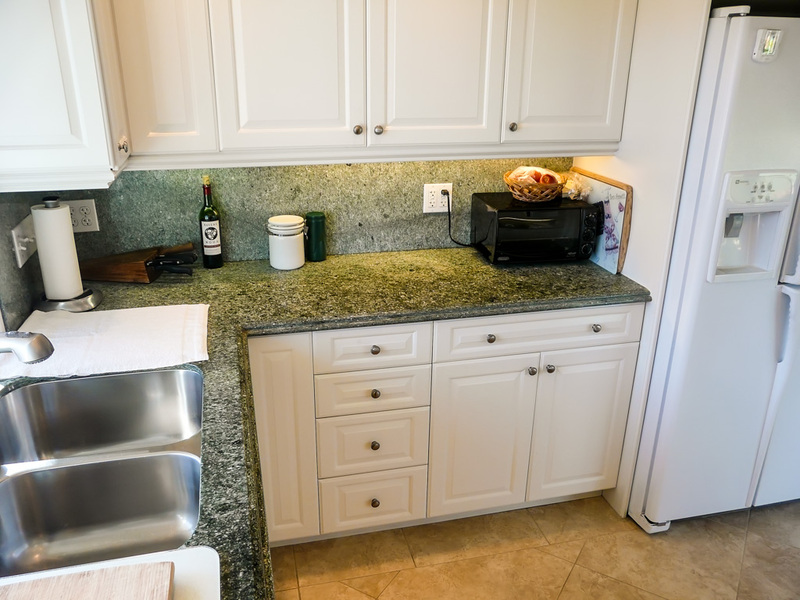 Things that function well stay cleaner and last longer. 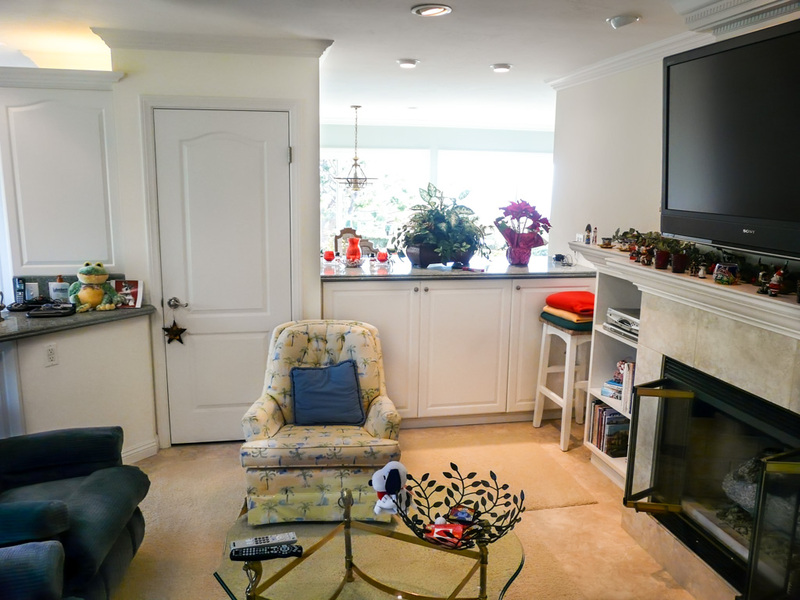 The fireplace was completely stripped and refaced with more modern tile and bookshelves adjoining it. 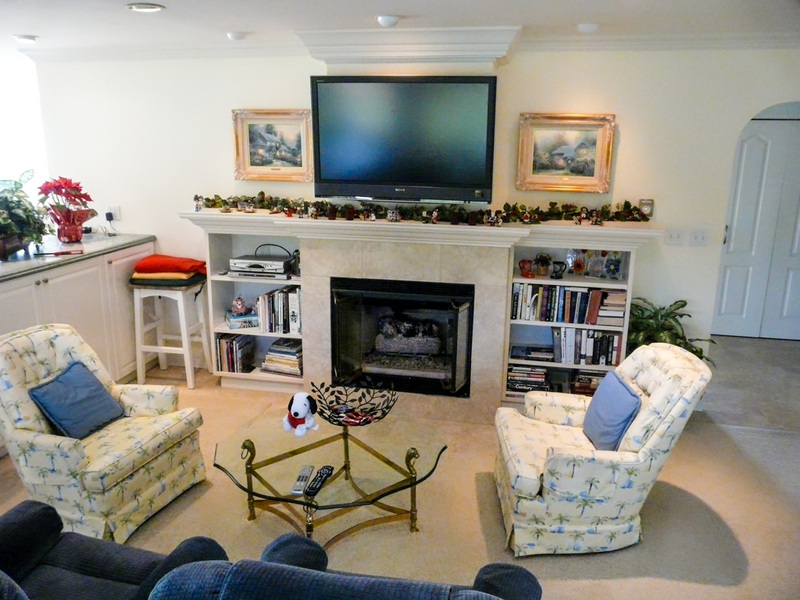 We also fed and mounted the TV cables above the fireplace. 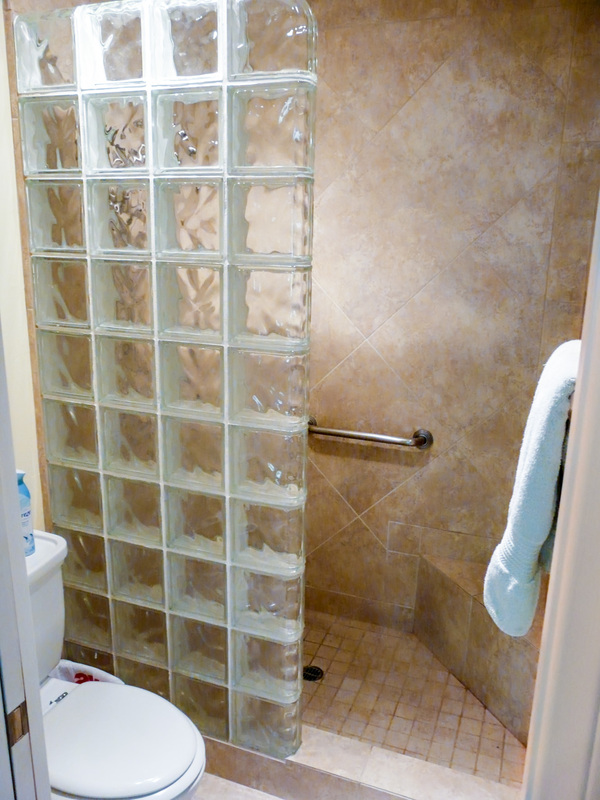 The bathrooms were upgraded with the same materials we used in the kitchen. 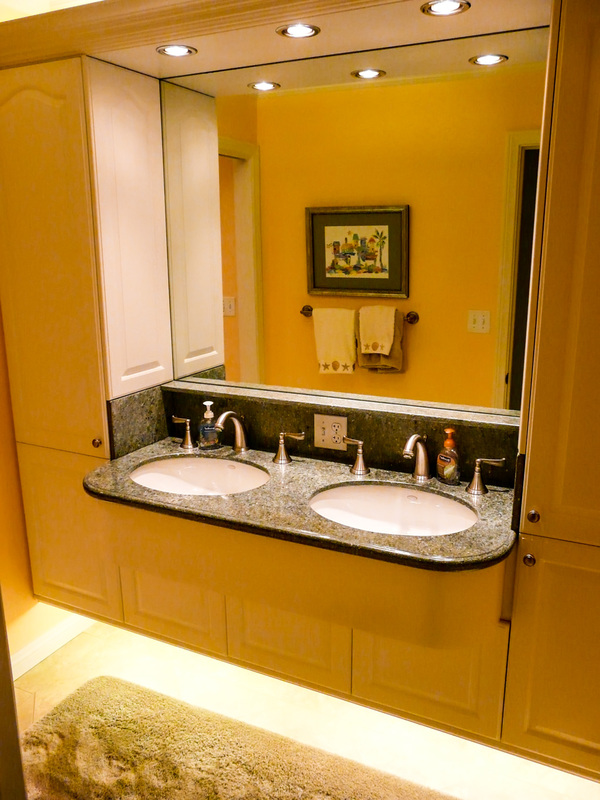 The hall bath is done in a more classical European style I started my functional baths with years ago, with pantry-style cabinets flanking the sinks and indirect lighting above and below those cabinets. 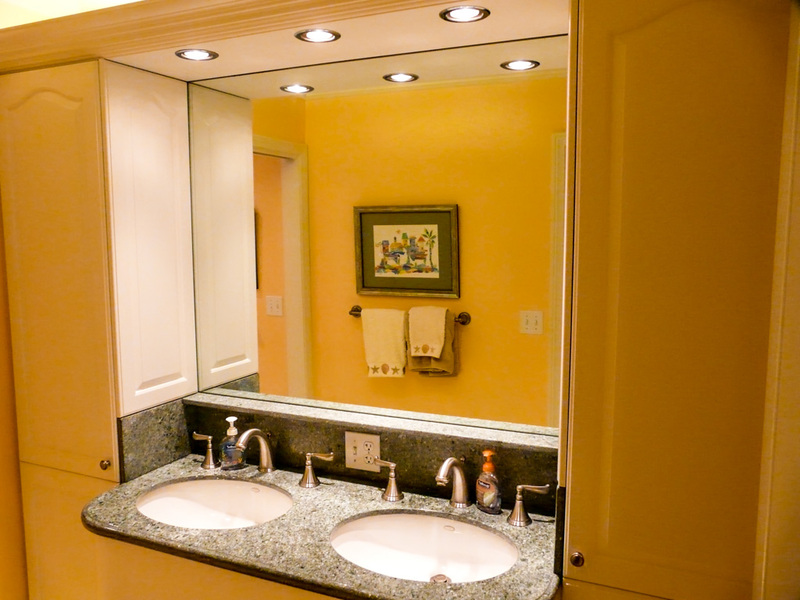 The master bath’s cabinets are more traditionally done. 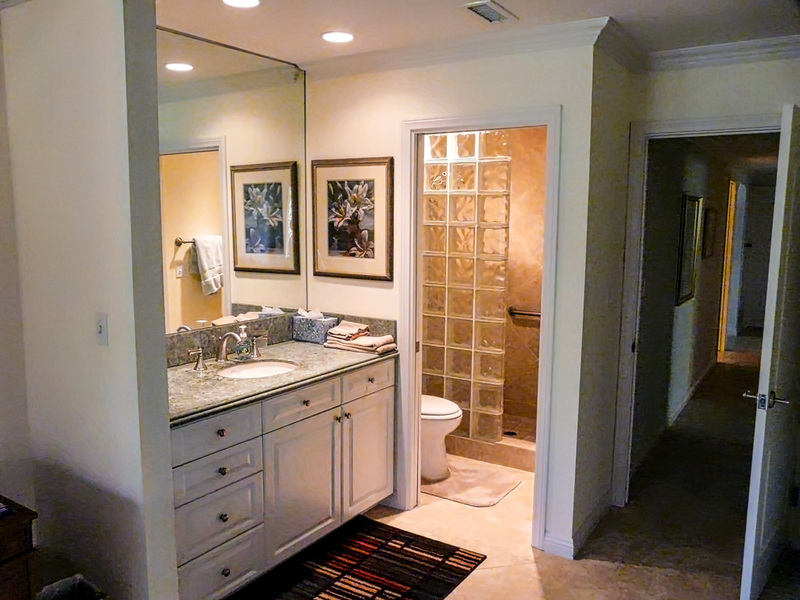 The master bath also included changing a swinging door between the sink area and the toilet/shower area to a pocket door so the door wouldn’t take up floor space. 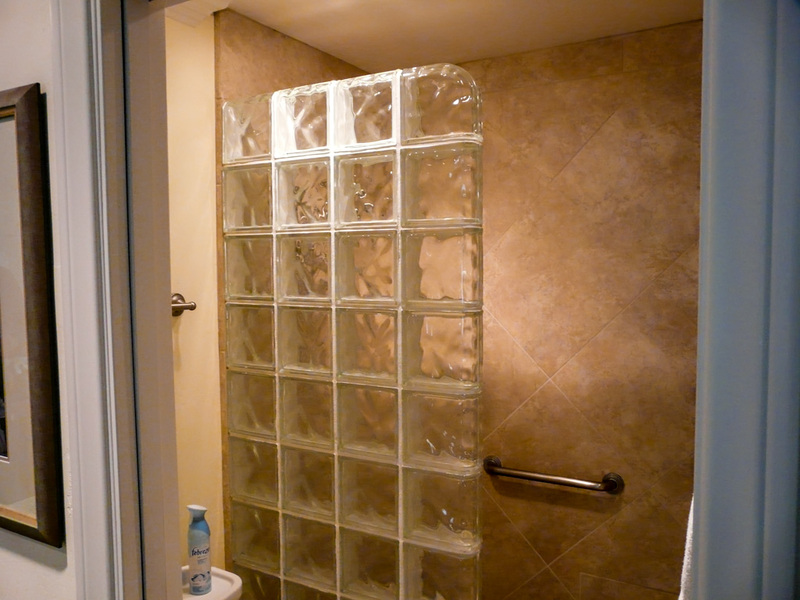 The new custom master shower is a walk-in, no door needed — the glass block partition is plenty to keep water inside the shower. 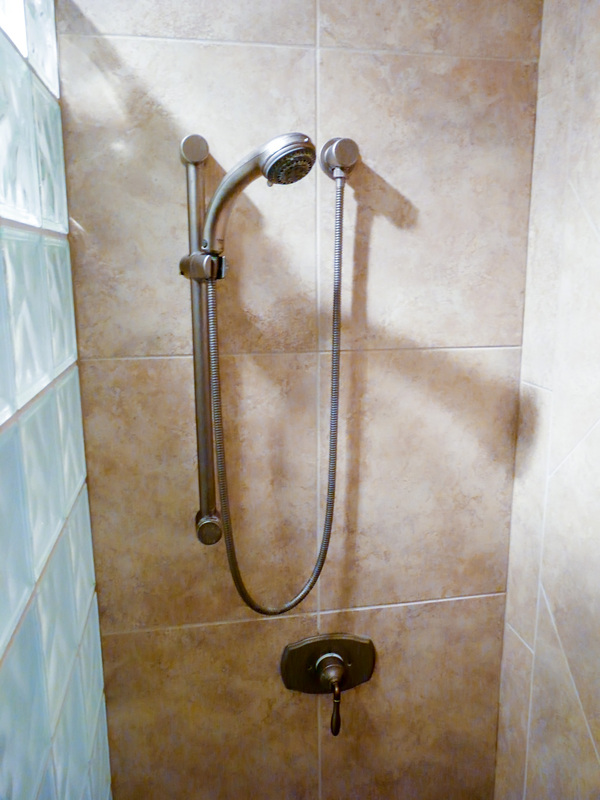 We added a good shower seat and grab bar.